The American Comedy Institute One Year Program in Comedy Performing and Writing is accredited by the National Association of Schools of Theatre (NAST). 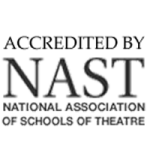 NAST is designated by the United States Department of Education as the agency responsible for the accreditation throughout the United States of freestanding institutions and college and university programs in the performing arts. Only approximately 162 US programs have been approved by NAST, and only after a rigorous approval process. NAST accreditation assures students that they are in a program that meets highest academic, financial and administrative standards. Read the full catalog. 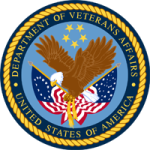 In 2015, the American Comedy Institute became an approved education/training facility by the U.S. Department of Veterans Affairs. ACI was approved by the Bureau of Veteran’s education to offer training to veterans and other eligible persons and can now accept the Post 9/11 GI bill for the One Year Program courses. For any questions about the GI bill, the application process for the One Year Program, and other important paperwork, please contact the school at (212) 279-6980.